Completed or pursuing 10+2 or equivalent qualifying examination. Candidates must fulfil the basic NPAT 2019 Eligibility Criteria to be able to apply for the desired program. CBSE/ICSE Candidates: Candidates of CBSE and ICSE should mention in online registration / E-admission form (if selected) 10th /10+2 or equivalent aggregate marks of all subjects for which candidate has appeared for (not best of Four, Five, Six or seven). The candidates shall have passed all the subjects appeared for in the applicable examinations. The aggregate percentage of all subjects for which the candidate has appeared will be taken into consideration along with the PCM percentage for confirming eligibility of the candidate for the program. Merit list based: Candidates called for admission on the basis of merit list & who do not have final mark sheet will be given “Provisional Admission” based on their predicted scores. Fees will be accepted from such candidate but their admission will be confirmed upon the submission of final mark sheet before the commencement of the program, if found eligible. The candidate shall have to submit a copy of AIU notification to confirm their eligibility for the program as equivalent to (10+2) examination(s). Not Eligible: Candidates passing 10+2 or equivalent examination from Open or Distance learning (ODL) school recognized only by National Institute of Open Schooling (NIOS) can apply for the program subject to fulfilling the eligibility of the program & candidates who have passed the 10+2 or equivalent examination by doing part-time course or through distance learning/correspondence/externally/open school other than NIOS are NOT eligible to apply for the courses. Qualification: The candidate must have passed 10+2 or equivalent examination including International Baccalaureate Diploma (IB certificate / & D.P. awarded candidates are not eligible) in any stream from a recognized board in only one & the first attempt & The candidate should have obtained a minimum of 60% aggregate marks. Non-Eligible: Candidate will not be eligible if any subject is marked as ungraded/fail in the marksheet / gradesheet. For absent/ungraded in any of the additional/ non-mandatory subject will be considered as eligible provided such candidate is declared as pass by respective board. Exams should be qualified: Candidate must have passed 10+2 or equivalent examination including International Baccalaureate Diploma (IB certificate or / & DP awarded are not eligible) with English as a compulsory subject. 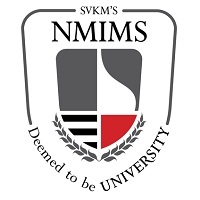 Minimum marks: Science or science vocational & minimum 50% marks in PCM for Mumbai/ Navi Mumbai/ Indore Campus & 45% marks in PCM for Shirpur campus. Those awaiting their 10+2 or equivalent examination result this year may also apply. Age criteria: Maximum age is 25 years. Exams should be qualified: The candidate must have passed 10+2 or equivalent examination including International Baccalaureate Diploma (IB certificate/ & D.P. awarded are not eligible). Minimum marks: Science or science vocational with Physics, Chemistry, and Mathematics (PCM)or Physics, Chemistry and Biology (PCB). English minimum marks: Candidate must have English as a compulsory subject and minimum 50% marks in (PCM / PCB). Exams should be qualified: The candidate must have passed 10+2 or equivalent examination including International Baccalaureate Diploma (IB certificate / & D.P. awarded candidates are not eligible) in any stream from a recognized Board in the first attempt and should have obtained a minimum of 60% aggregate marks. Mathematics / Statistics: The candidate must have passed in Mathematics / Statistics at 10+2 or equivalent examination. IB candidates: For IB candidate, the student must have Standard Level (SL) Mathematics / Statistics to be eligible for the program. Exams should be qualified: The Candidate must have passed 10+2 or equivalent examination including International Baccalaureate Diploma (IB Certificate / & D.P. Awarded candidates are not eligible) in any stream from a recognized Board at first attempt. Minimum marks: Must have obtained a minimum of 50% aggregate marks in 10+2 or equivalent examination for being eligible to B.Com. (Hons.) program & 60% aggregate marks for being eligible to BBA & B.Sc. (Finance) Program. Mathematics / Statistics: Candidate’s passing in Mathematics/ Statistics at 10+2 or equivalent exam is compulsory for being eligible to B.B.A / B.Com (Hons) / B.Sc (Finance). Candidate with IB Diploma applying for B.B.A / B.Sc (Finance) the program is eligible only if he/she has offered & passed in Mathematics/ Statistics at Standard level. Candidates of CBSE, ICSE, should mention in the online registration / e-admission form (if selected) for 10+2 or equivalent examination, the aggregate marks of all the subjects the candidate has taken/opted and appeared for (not best of four, five, six or seven. What marks are required to apply for the exam? Candidates of CBSE, ICSE, should mention in online registration / E-admission form (if selected ) 10th /10+2 or equivalent aggregate marks of all subjects for which candidate has appeared for (not best of Four, Five, Six or seven). The candidates shall have passed all the subjects appeared for in the applicable examinations. The aggregate percentage of all subjects for which the candidate has appeared will be taken into consideration & PCM percentage for confirming eligibility of the candidate for the program. Click Here to know more about the eligibility. eligibility criteria to apply for the exam? What is the eligibility criteria for the NPAT exam 2017? Candidates have to pass the 10+2 or equivalent exam with English as a compulsory subject & secure at least 50% marks in PCM. Diploma in Engineering passing candidates are also eligible. The age limit should not be above than 25 years. What is the eligibility criteria for the B.Des course? The candidate should have passed their 10+2 examination or any equivalent examination including International Baccalaureate Diploma (IB certificate/& D.P. awarded candidates are not eligible) in any stream from a recognized Board in the first attempt and should have obtained a minimum of 60% aggregate marks. Candidates of CBSE, ICSE, should mention in the online registration/e-admission form (if selected) the aggregate marks of all the subjects the candidate has taken/opted and appeared for (not best of four, five, six or seven) in their 10+2 examination or any equivalent examination. What is the eligibility criteria for B.Sc Economics 2017? Participating candidate must have passed 10+2 or equivalent exam with a minimum aggregate of 60% marks in the first attempt including Indian Baccalaureate (IB) Diploma in any stream. A candidate must have passed Mathematics/Statistics subject in 10+2 or equivalent to be eligible to apply for NPAT 2017. What is the eligibility criteria MBA Pharma Tech in NPAT 2017? Student appearing in NPAT 2017 must have passed 10+2 or equivalent exam including Indian Baccalaureate (IB) Diploma in Physics, Chemistry and Mathematics (PCM) or Physics, Chemistry and Biology (PCB) with English as a compulsory subject. Student writing NPAT 2017 must have scored minimum 50% marks in PCM/PCB to be eligible to apply for NPAT 2017. What are the B.TECH and MBA eligibility criteria for NPAT 2017? 1. Student must have passed 10+2 or equivalent exam including Indian Baccalaureate (IB) Diploma (IB certificate awarded is not eligible) with English as a compulsory subject. 6. Students passing 10+2 or equivalent exam from Open or Distance learning (ODL) School recognised only by National Institute of Open schooling (NIOS) can apply for the program Subject to fulfilling the eligibility of the program. 8. Students appearing for class 12 can also apply for NPAT 2016. What is the eligibility criteria for the B.Sc Economics course? A candidate must have passed 10+2 or any equivalent exam with minimum 60% marks in the first attempt including Indian Baccalaureate (IB) Diploma in any stream. A student must have passed Mathematics / Statistics in 10+2 or any equivalent to be eligible to apply for NPAT. What is the eligibility criteria for the B.Sc Finance course? Candidates must have passed 10+2 or any equivalent exam with minimum 50% marks in first attempt including Indian Baccalaureate (IB) Diploma in any stream. Applicants should have passed Mathematics / Statistics in HSC or any equivalent to be eligible to apply for NPAT.